Just now, Julian Assange heard that he will be extradited from the U.K. to Sweden to face charges of sexual assault (see the Guardian). This news is reflected by a number of transits and progressions. They tell us about bad news for him. For example: the progressed Midheaven is in the 3rd degree of Libra. That is inconjunct transit Neptune. Neptune is always confusing and with an inconjunct, you might get out of balance or 'get lost'. The 3rd degree of Libra is also inconjunct his natal Pholus (symbol of a turning point and with the inconjunction of getting out of balance because of it, or experiencing a 'loss'). Assange can still appeal (European Court for Human Rights). Singer and composer Bob Dylan received the Presidential Medal of Freedom, yesterday, for changing the lives of his pubic. It was a special day for him and we can see that in the chart, transits and progressions. Jupiter is inconjunct progressed MC and Pluto trine progressed Venus, for example. But where is the career, where is the talent and were are the successes in the natal chart? First of all, Jupiter rises before his Sun and...Jupiter is the ruler of the Ascendant. Jupiter helps to bring us success, because Jupiter is the symbol of self confidence, faith and growth. When Jupiter has a prominent place in our chart, we can expect some of the benefits of Jupiter. Jupiter is also positioned between Sun and Moon of Bob Dylan. Motivated by public attention or by the verb ' to have'. 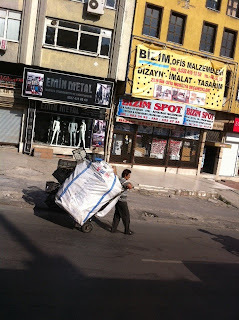 Highlighted materialism. The solid and true family member and partner. What it takes to keep them happy? Gifts, of course. Highlighted Taurus means you want and need to EARN something. That makes you 'in' for anything that promises profit. If Taurus is not the sign of your Moon AND Sun, you compromised the difference between your you and your needs by means of money or material. Public attention is what he got and he earned a lot:). Neptune is important in the charts of artists, as Neptune gives us inspiration, fantasy and dreams. Neptune is elevated in Bob Dylan's chart. When Jupiter and Neptune join forces, there is often a 'believing and devoted audience': fans and followers. There is also often a 'stage'. 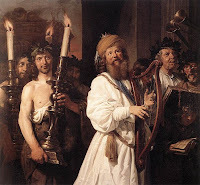 Priests and artists share important combinations of Jupiter and Neptune (and Jupiter-Neptune is also important in case of speculations, read this post. Another key to his career is the position of Venus. Venus doesn't make a major aspect in sign or orb degrees. I name that a 'calling' Venus. It makes Venus important. With such a Venus you simply can't resist the call of entertainment, beauty, art and fun. Diplomats and artists often have an important Venus. Now we have the Taurus Sun/Moon (public, money) and 3 important planets: Venus, Jupiter and Neptune. Together they are the combination of success (Jupiter) in the arts (Venus-Neptune) and/or of the fairy tale marriage:). But there is more: Mercury! Mercury rules the voice. Mercury is the messenger, the communicator and the singing bird. Mercury is angular in Bob Dylan's chart, spot on the Descendant and strong in Gemini. Mercury is also the final dispositor of Midheaven. This important Mercury tells us about the importance of using pen or voice. Most artists have the pattern of artistic talent in their chart (a combination of minor and/or major aspects between Moon, Venus and Neptune with Midheaven and spotlights on the corresponding signs Cancer, Taurus, Libra and Pisces). You can see that on Art&Astrology. Bob Dylan has the Moon in Taurus and a Libra Midheaven. There is a minor aspect of Neptune with Midheaven (half semi square, 22.5 degrees). Neptune is trine Moon and Moon is still half semi square Venus (73 d minus 51.5 = 21.5). 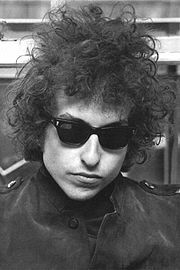 Watch the importance of Venus and Neptune in the progressed chart with transits in 1962, when he changed label and became 'Bob Dylan'. The Astro.com chart is an AA rated chart. It means that there is no doubt about the hour of birth of Bob Dylan. The Eurovision song contest was won by Loreen (see Wiki), born October 16*), 1983 in Västerås, yesterday. Funny to see the correspondence between chart and events! Remember that a little while ago (link) I pointed at the fact that repeating aspects sound louder? (I mean that when there is an aspect in the natal chart and there are transits and progressions with the same two planets, like Sun square Moon and progressed Moon trine Sun). It is as if you are prepared more for the transits or progression than when you don't have such an aspect in the natal chart. Should I say, that the transit/progression 'clicks' with your nature and you 'answer' to the call when the bell rings? Or is it vice versa: because of the fact that you are who you are, you respond more to what is in line with you and your nature? Like when you see pregnant women and babies all over the street when you are pregnant. Or when you see your brand new car brand popping up in traffic all of the time. The chart of Loreen is another example of that idea! 1. Her natal Sun semi square Uranus and now transit Uranus quindecile Sun. Of course, winning a contest is an important moment of change in her career and life. Suddenly the whole of Europe knows her. Her debut album will be released soon. Uranus is the astrological word for surprising (and sometimes shocking) changes. The Sun-Venus-Uranus combination makes this period exciting in a pleasant way. Venus-Uranus is also the symbol of rhythm and often there is an aspect between Venus and Uranus in the charts of pop singers. Singing is the major issue now, for Loreen! (BTW, This Venus square Uranus most have an important place in her chart. When she ended number 4 in Idols in 2004, progressed Venus was square Neptune and transit Uranus square Uranus). *) Dutch Wikipedia mentions October 18, but Svenska Wiki says 16, too. 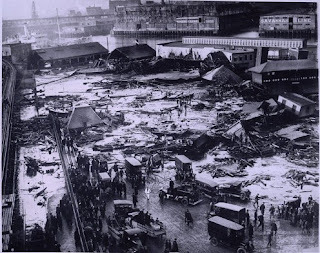 For some reason my attention was drawn to the Boston Molasses Disaster of January 15, 1919. Maybe it was an article about ‘The Folklorist’ ( a new TV program). Or is it transit Venus sesquisquare my progressed Ceres? 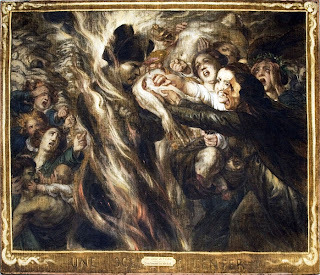 Anyway, I searched for the hour of the moment of disaster and it was mentioned in urbanlegends.about.com: 12.40 pm. What struck me in the chart was the conjunction of sweet Venus and Ceres, the symbol of nutrition. 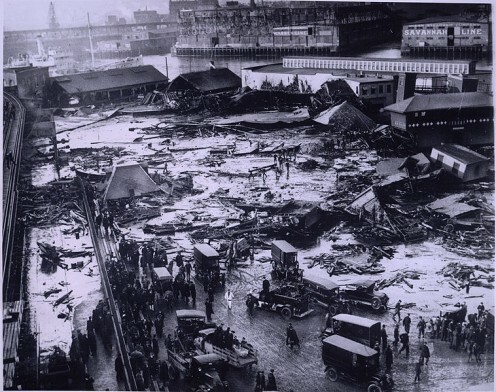 Together they make a sweet thing to eat, and maybe in a fairy tale the flood after the explosion of a molasses tank, would be a kind, tasty and happy river, but it certainly wasn’t a nice product then. It was hot, sticky, fast and an 8 feet high wall of candy-to-be that killed 21 and injured about 150 people (and horses and dogs). The (public domain) picture above was found on http://jerileewei.hubpages.com/hub/Death-by-Molasses, where you find the complete story with more pictures, a map and a recipe for those with self control:). It is also important that the Ascendant is changing sign, introducing a new situation. The Venus-Ceres conjunction happens to be one of the tightest aspects, in opposition with the angular Neptune. Neptune is for chemicals. Such a chart can’t (of course) predict a disaster. It is just describing what could have happened at a certain critical moment in time and place (MC-Ascendant) on a day that luxury food (Venus-Ceres) was an issue. If you have a Venus-Ceres aspect in your chart, sweet candy might be an issue for you. At the moment, with a frustrating sesquisquare between them, it is apparently an issue for me:). So I will skip that recipe! 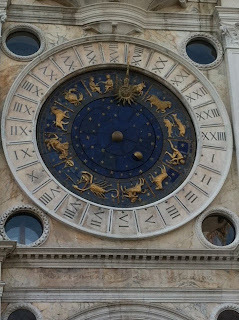 Back from a Mediterranean Sea voyage I have some 'ferry' tales related to astrology. More specific, about Jupiter and Saturn. But first I want to show you something. 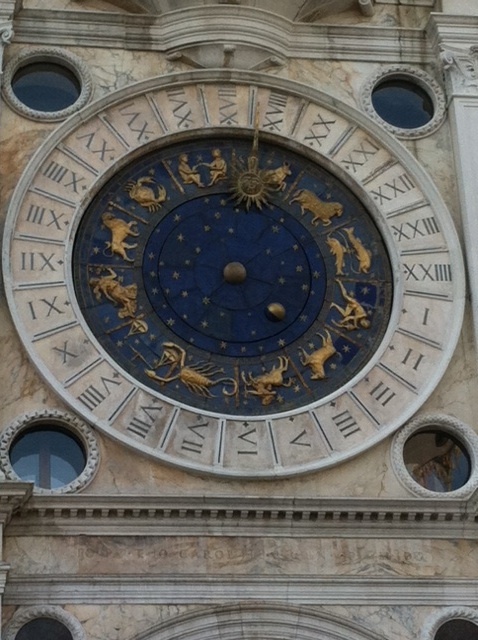 In Venice, at San Marco Place, I noticed this clock. Watch the zodiac signs and the 24 hours united... It reminded me of ' one day for a year'. That is term used in progressive astrology where we use a day after birth as an equivalent for a year after birth. Wiki explains it well...This picture shows it. BTW It wasn't easy to get there, in Venice. It went the Italian way...My husband and I planned to go from our ship to San Marco Place by ferry. So we bought tickets and joined a patiently waiting man in suite and tie, (yes, of course he was an Englishman, and a very nice one:). Meanwhile, the ticket office closed, so that we couldn't ask why there was no ferry at all in 30 minutes. The Englishman said that they were supposed to arrive every 10 minutes, but as there was no schedule around, we couldn't verify this. Finally, a boat showed up. Two busy young Italians on the phone and talking with wild gestures told us that their ferry was not THE ferry (no no no, they absolutely didn't go to San Marco, they went to the airport). So again we waited in the sunshine, wondering if we should simply start walking, until, on the horizon, another boat turned up. After a total of 45 minutes waiting this ferry brought us to San Marco Place. Can you imagine what fun it was when we saw the busy young lads there, on the shore, hanging around a bit? The trip started with transit Jupiter exactly square my Progressed Sun. Jupiter happens to be the international of the planets. This journey brought me in 5 different countries (Italy, Greece, Turkey, France and Spain) and I met people from Venezuela, England, USA, Philippines, Japan and even more nations. Very Jupiter! Jupiter is also the symbol of optimism. Maybe that is why I dared to sail away during Varuna square Eris (with Varuna inconjunct my Sun). In Izmir (Turkey) I saw this man (picture above) carrying a heavy load down hill and I immediately thought of Saturn. Saturn hit my chart, too. While I was traveling from Venice to Athens via Istanbul to Rome and Barcelona, our family dog died. You know that the natal positions of dog respond to transits and progressions as much as the charts of humans do? She was ill since a few months (see the doggy story: http://astropost.blogspot.com/2011/12/doggy-story.html ). She died with transit Saturn again (!) hitting her natal Sun, transit Neptune trine Mars and transit Uranus inconjunct Mars. This is how I verified my Ascendant degree, with tools for verifying yours. A few days ago, when I was pondering on my Ascendant degree, I thought of the fact that when I had my son, transit Mars was in the 4th of Virgo, to be exact: 3d44m40s when he ‘saw the light’. Somebody cut me, just before that happened. Next, I thought about progressed Mars, now in Pisces, and the date of progressed Mars conjunct my Ascendant Pisces. On September 30 1996 I had surgery and … progressed Mars was in 3d43m42s Pisces. Cut, cut...Also, Transit Saturn was at 3d42m Virgo retrograding (in line with the nature of the surgery)! The time of my birth certificate gives an Ascendant of 3d43m29 Pisces. What a great and accurate nurse it was! It was pretty nice, to find this on a day that Venus was opposition my Sun and Midheaven! And yes, I was glad! Now I 'just' had to find more hits with the Ascendant degree and I found Uranus when I started co-managing an astrologer's forum. Now I wonder what Neptune will be mirroring in 2013/2014. I expect amazing or miraculous situations (see the post about transit Neptune). Astropost about Transit Jupiter and your Ascendant (gaining weight, pregnant) or see Cafe Astrology. But, in short, you can expect the coming out of problems with Pluto, you might join groups with Uranus and become transcendent with Neptune. You can't be overlooked when Jupiter makes you grow and you get real with Saturn. Pluto is the symbol of life and death and is very intense by nature. Uranus is for excitement or intervention (including going to see the dentist). With Mars you might get cut or hurt (f.ex. dentist, again:). Venus brings pleasure and Mercury someone to talk with. Just check it. And uhm...Brutus table with keywords for angularity is very useful to try to find a certain state of mind. There is also a text about ruler 1 conjunct Ascendant (for the natal chart). As Neptune is supposed to rule my Pisces Ascendant, will I turn into a very tactless sort of a medium (attuned and straight forward) during the transit of Neptune? If I do, it will always be in the Pisces way, for example: on a blog, almost anonymously:). PS If you are still not convinced about the degree that you found, try the symbolic degrees of Janduz (published by Astrotheme.fr) to see if the description looks like you and your ways of doing it...I selected the picture on top of this post, a bit according to the description of my degree and a bit because I liked this 17th (16-17) century picture of Jan de Braij. If you use the symbolic degrees on Astrotheme, please be sure to name 0-1 degree degree number zero and 1-2 degree degree number 1 etc. Last and this week there was a lot of publicity (well, where I am! :) because of a murder case and the publication of names, days of birth and pictures of the suspects. A 46 year old jeweler was brutally shot two times during a robbery on April 25, 2012 in The Hague and he died. One of the suspects fled to his home country and turned himself in later (in that country). He admitted to be the killer, on local TV. Charts don't tell it all. Neither do circumstances or situations. As usual, there is a mixture of positions of his day of birth (October 6, 1992) and circumstances (lack of family control, early contact with the police) explaining what happened. The day of birth has tight aspects like: Mars quare Uranus and Mars inconjunct Saturn. Sun is square Mars, square Uranus and trine Saturn. Uranus is semi sextile Saturn. You can easily see the combination of restricted freedom (Saturn-Uranus), short fuse (Mars-Uranus), dead end (Mars-Saturn: the killer had Mars inconjunct Saturn = dead end with a loss involved) and being a macho (Sun-Mars). Just use the label ‘crime’ or ‘criminality’ to find examples of terrorists, killers and dictators with similar aspect combinations. See the aspects, add gender, age, circumstances and his history and what you get is a potential risk for society. Of course, the natal positions don’t just show the aggression. You can also see Jupiter rising before the Sun: the traveler. He immigrated at age 1. You can see Sun-Uranus for being an alien in his homeland and in the new country, an outsider. You can see Mercury ‘calling’ (communications somehow, anyhow: he had to tell it on TV, anyway). His companion was born on March 13. 1992 with his Jupiter conjunct the Sun of the killer (trust, protection). Both have Mars in the 12.5th (13th degree) of Cancer. 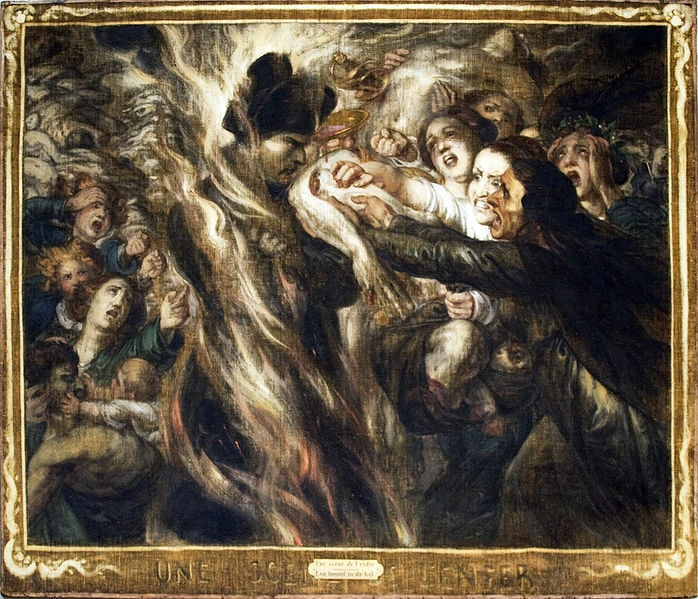 Mars conjunct Mars: fire, joined efforts and possible conflicts. The 13th degree of Cancer happened to be a degree of disaster according to Janduz, who even mentioned bloodshed*). With Mars, there is an extra risk. An afflicted Mars is even more dangerous. At the time of the murder the progressed Mars of the killer was opposition the Sun of the jeweler. And his progressed Sun was trine the Saturn of the jeweler. PS hundreds if not thousands have been born on March 6, 1992. They could be excellent in sports or techniques. They won't become a criminal just because of their day of birth. But if they do, it might be because of a short fuse, lack of control and the spotlights on fighting, competing and 'manhood'.